Here’s part one of Jo and Gavin’s wedding at St Mary’s Church in Charham, Kent which was in October of last year. My day started off with meeting Jo at her parent’s home where she was joined with family and her bridesmaids. I love to capture all the excitement and anticipation and soak up the atmosphere at this part of the day, I guess I’d call it the first chapter of the wedding day story! 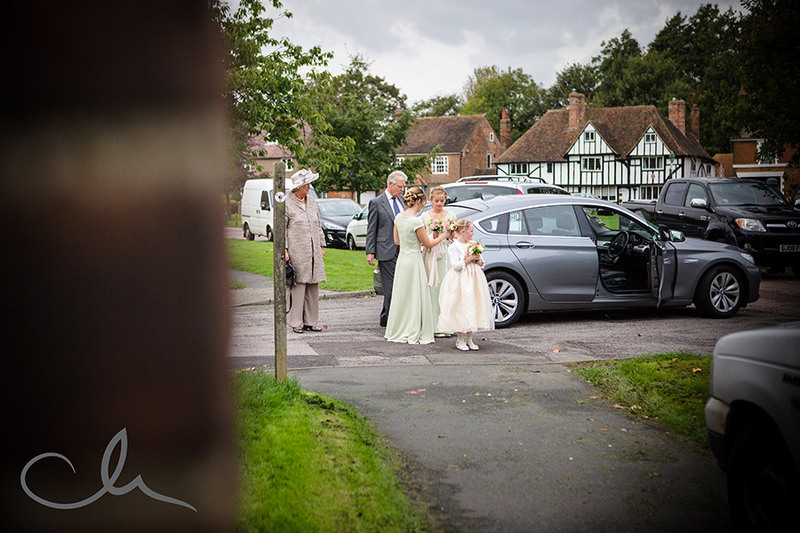 I then made my way to the church where I met up with my brilliant assistant Yasmin when we headed off to meet Gavin and his groomsmen at The Artichoke Inn in Chartham. This is another opportunity to capture another part of the story, the nerves, the comradery and excitement. When I shoot a wedding, I will always do a recee of the venues if I’m not familiar with them. This was my first time shooting at St Mary’s Church, so I had joined Jo and Gavin for their church rehearsal a few days previously. As well as viewing the area and meeting the wedding party, I was able to meet with the vicar and establish where he was happy for me to position myself for documenting the ceremony. The church has a balcony so it was a good opportunity for me to take advantage and shoot from above to take a shot to set the scene. The church is also has the benefit of being lit beautifully with natural light. It was a beautiful ceremony and was such a pleasure to document and to be a part of such an intimate part of Jo and Gavin’s day.